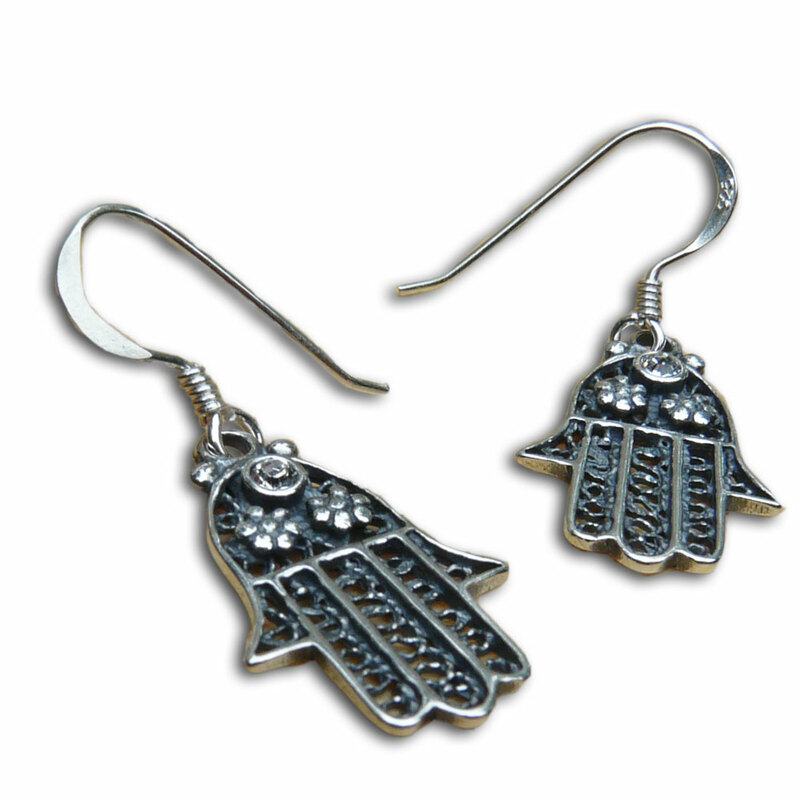 Hamsa earrings with a shining zirconia stone. 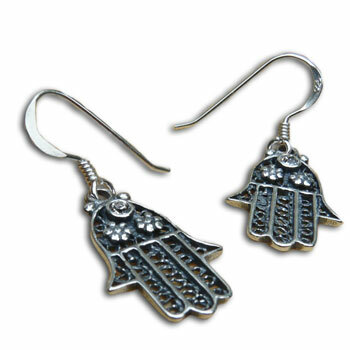 Hamsa is an important symbol in many religions and represents a protecting hand of god. The ever protecting Hamsa (or hand of Fatima) hand with with a shining zirconia stone. The pendant is on a black tie-to-fit faux suede cord.